Stopping for a quick recipe update. Something that keeps me going during the day, be it for an after-run energy boost or a pick-me-up with coffee or just a bite of a little sweet after lunch... 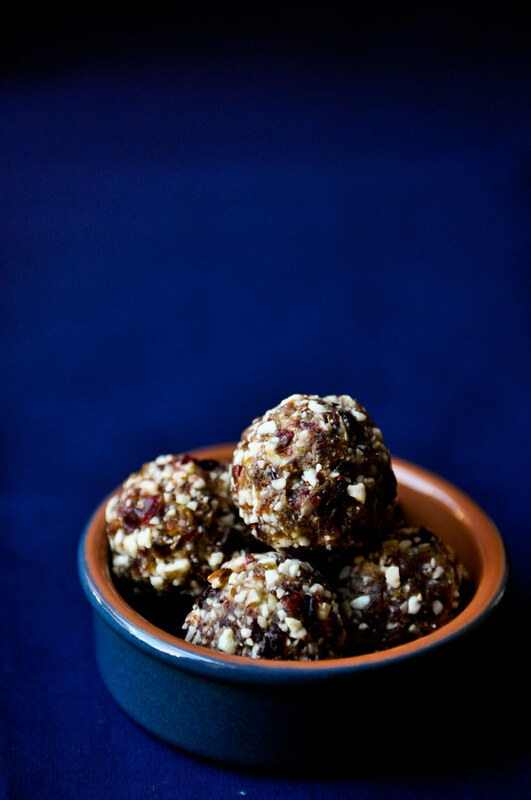 These balls are packed with protein and a boost of needed energy from natural sugars. In a small sauce pan, gently heat the dates and cranberries with the butter until the dates are soft and mashable. Let the mixture cool slightly. While still warm, process the mixture with the nuts until they are all in tiny chunks. Butter your hands lightly. 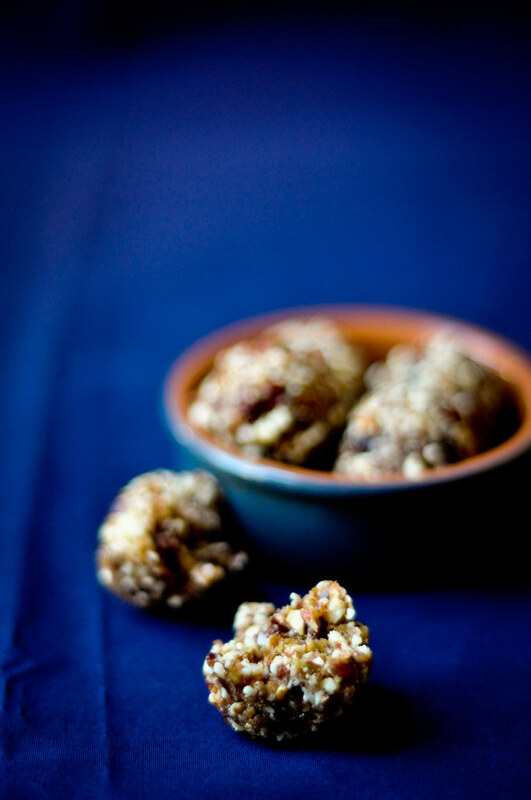 When the mixture is cool enough to handle yet, still warm, scoop a tablespoon and roll into balls using gentle pressure in the palm of your hands.